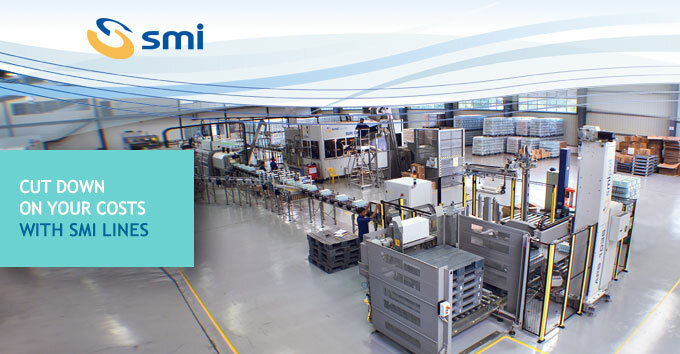 SMI offers complete bottling & packaging lines featuring innovative technical solutions that reduce manufacturing costs, increase energy savings and streamline the efficiency of the plant. 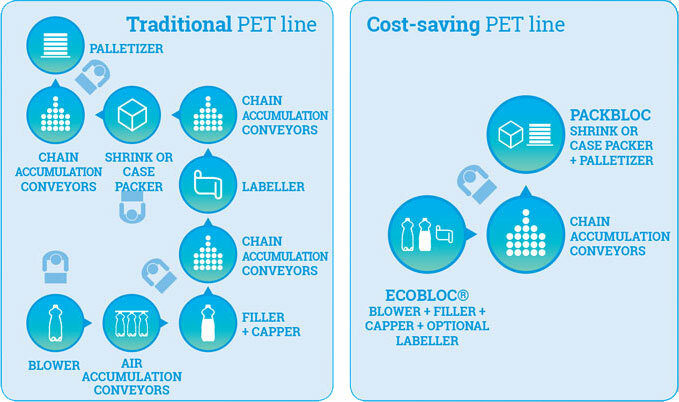 PACKBLOC system, combining an automatic packer and a two-Cartesian-axis automatic palletization system for both the secondary and end-of-line packaging ("dry packaging"). energy costs cutting: only high-efficiency and low consumption motors are used. For further information about SMI's cost-saving compact lines please contact our sales department at +39 0345 40111 or write an e-mail at info@smigroup.it.